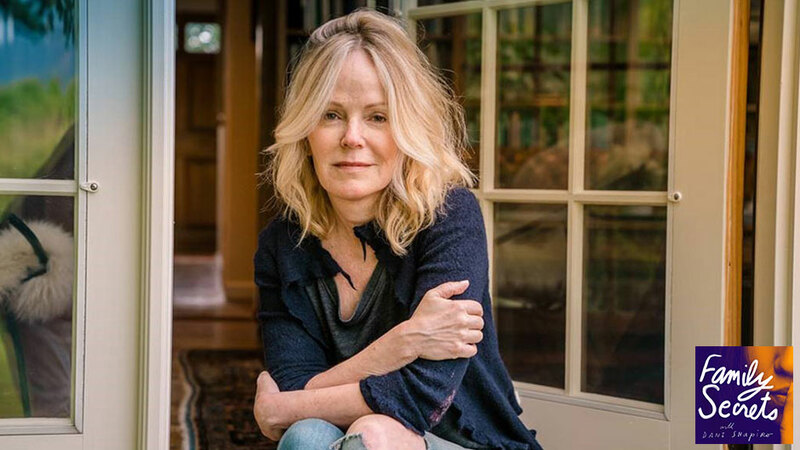 Dani Shapiro is the bestselling author of five memoirs, Inheritance, Hourglass, Still Writing, Devotion, and Slow Motion, and five novels including Black & White and Family History. Her books span diverse subjects from her tumultuous upbringing in an Orthodox Jewish community to her explorations of spirituality and the nature of our deepest relationships. An extraordinary writer and sought-after speaker, her intimate talks give audiences a glimpse into her creative process and ask important questions about meaning, identity, and personhood. Shapiro can currently be heard on the popular Family Secrets podcast. The bestselling author of five memoirs and five novels, Dani Shapiro’s artful, intensely emotional works have spanned subjects from Jewish culture and spirituality to grief and the nature of our most profound relationships. Her riveting works and thoughtful talks have inspired countless aspiring writers to “excavate their inner worlds” in order to discover their voices. In the spring of 2016, Shapiro received the stunning news through a genealogy website that her father was not her biological father. Her newest memoir, the instant New York Times bestseller Inheritance, captures her urgent quest to unlock the story of her own identity, a story that had been scrupulously hidden from her for more than fifty years while she wrote on themes of identity and family history. Inheritance is a book for our extraordinary times, in which science and technology have outpaced not only medical ethics, but the capacities of the human heart to contend with the consequences of what we discover. The publication of Inheritance also inspired Shapiro’s hit podcast, Family Secrets, which allows anonymous speakers to reveal the hidden stories that have changed their own families. A sought-after speaker, Shapiro lectures on writing, craft, and identity. In 2013, Oprah invited Shapiro onto her SuperSoul Sunday program to for an hour-long conversation around her introspective, philosophical, and brutally honest writing, and a spiritual wake-up call that compelled her to confront her uncertainty with her faith and sparked a search for meaning. Shapiro’s controversial essays on social media are taught in many universities, along with her book, Still Writing, a searching meditation on the artistic process. Shapiro’s work has appeared in numerous publications including the New Yorker, Salon, n+1, Tin House, and Elle, and has been widely anthologized. She regularly contributes to the New York Times Book Review. A portion of Slow Motion was broadcast on This American Life. Along with teaching writing workshops around the world, Shapiro has taught in the writing programs at Columbia, New York University, and Wesleyan University. She is the co-founder of the Sirenland Writers Conference in Positano, Italy. Shapiro lives with her family in Litchfield County, Connecticut. What makes a person a person? What combination of heredity and environment, nature and nurture, shapes our lives and forms our identity? 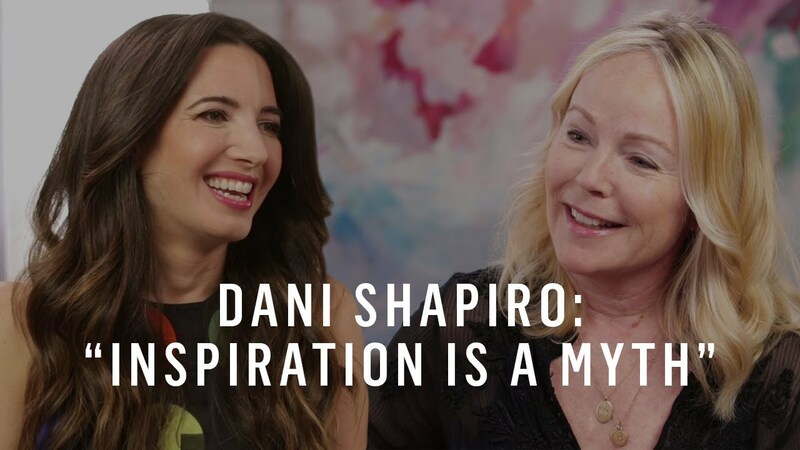 After a lifetime spent writing fiction and memoir about the corrosive power of secrets within families, Dani Shapiro stumbled upon a massive family secret of her own: her beloved father was not her father. As she writes in Inheritance: “I always knew there was a secret. What I didn’t know: the secret was me.” This lecture delves into Shapiro’s own detective story as she discovers a radically different truth than the one she had known, and shines a spotlight on the complex, ethical ramifications of this moment in history, during which science and technology have outpaced the human heart's capacity to contend with what we may discover. 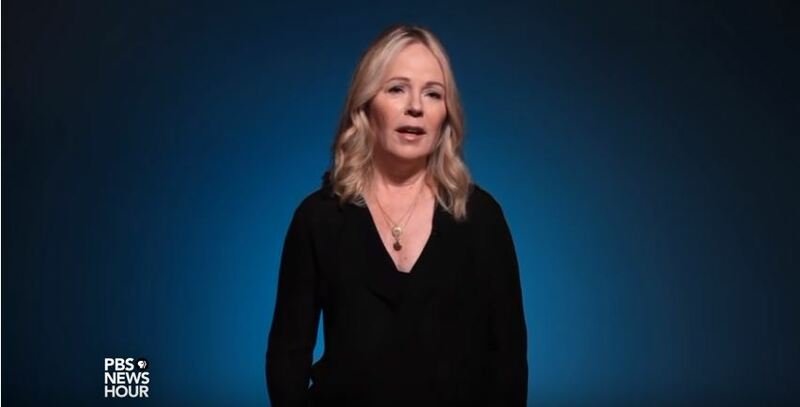 In 2016, at age 54, Dani Shapiro learned from a consumer DNA testing kit that she had been secretly conceived through donor insemination at a time when the practice was nascent, and almost entirely unregulated. Thus began the urgent investigation of her own identity. Drawing on this profoundly life-altering experience—as well as her subsequent deep-dive into researching the history of genetics and artificial insemination—Shapiro mines from the depths of her shocking personal discovery to discuss and examine the broader implications for the scientific and medical communities—and for us all—in a time when secrecy is no longer possible and when technological advancement has outpaced our ethical frameworks. Dani Shapiro has spoken to hundreds of Jewish audiences throughout her career. Descended from an illustrious Orthodox family and raised Observant, Shapiro has always contended, nonetheless, with a strange and discomfiting disconnect. As an infant, she was the iconic Beechnut baby. As a little girl, she was on the Kodak Christmas Poster. Every day, she heard that she didn’t look Jewish. She grew up feeling at once connected to her ancestry, and yet also not quite belonging. After making a shocking discovery about her biological paternity, Shapiro learned that indeed she is half-Jewish. In this lecture, she delves into what this revelation means to her and explores the true locus of her Jewishness. We all carry stories within us. Sometimes we’re aware of those stories – our well-honed narratives – and sometimes we aren’t. The writing life is an excavation of our inner world. We mine our patch of earth over the course of stories, novels, essays, memoirs, poems. We move toward what obsesses us, what we are unable to articulate until we follow the line of words. This lecture is about finding a voice, which is another way of saying, finding courage. 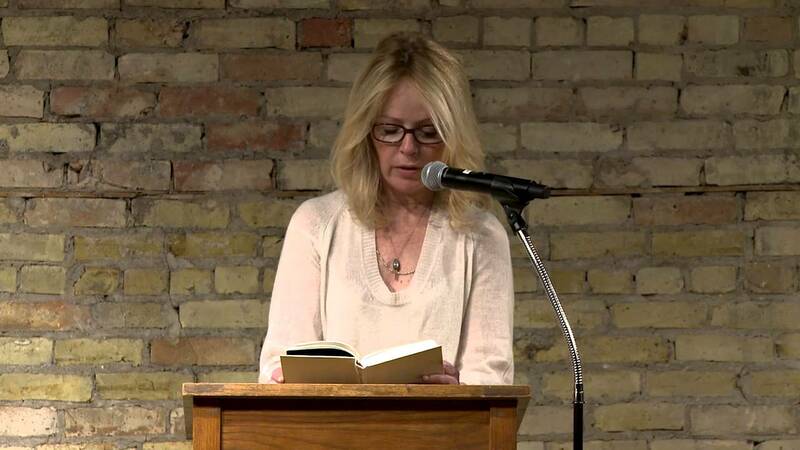 Dani Shapiro will take us through her writing life as she moves ever deeper into her most resonant themes. This talk is also about the power of the unconscious, and what we reveal to our readers, and to ourselves, as we discover the true nature of the stories we carry. Inheritance adds significantly to Shapiro’s body of work while plugging into some of our culture’s most pressing concerns – identity, technology and medical ethics, among others. Although her story is unique to her, it offers a way of thinking about our changing, uncertain times. Shapiro [writes] this spare, lyrical story shattering the polished portrait of her life and piecing the fragments carefully, gorgeously back together. As compulsively readable as a mystery novel, while exploring the deeper mysteries of identity and family and truth itself… a story told with great insight and honesty and heart. Shapiro is skilled at spinning her personal explorations into narrative gold. Unsettling….a meditation on what it means to live in a time when secrecy, anonymity, and mystery are vanishing. [Inheritance] encapsulates an ethical quandary with which our society has yet to fully grapple. Shapiro’s account is beautifully written and deeply moving — it brought me to tears more than once. When Dani Shapiro discovers, purely by accident, that the father who raised her was not her biological father, she embarks upon a profound journey of understanding. What is ancestry? What is identity? Inheritance is a compulsively-readable investigation into selfhood that burrows to the heart of what it means to accept, to love, and to belong. Identity is frail business, and in her searing story, Dani Shapiro makes the most disquieting discovery: that everything, from her lineage, to her father, down to her very own sense of self is an astounding error. How do we live with ourselves after finding we are not who we thought we were? The answer is not disquieting. It is beautiful. Inheritance is an extraordinary memoir that speaks to themes as current as today’s headlines and as old as human history. With unflinching curiosity and candor, Dani Shapiro explores the mystery of her own lineage as she questions the notion of lineage itself: What makes a father a father? And how are we shaped by our family lore? This beautifully crafted book is full of wisdom and heart, showing that what we don’t know about our parents may not be as important as what we do. With Inheritance, Dani Shapiro tells a startling story of origins—their deep reach and their lasting reverberations. This book reads like a beautiful, lived novel, moving and personal and true. Compassionate, insightful, and powerfully honest, in Hourglass Dani Shapiro illuminates the deepest mysteries, contradictions, and consolations of so very much—love, memory, the people we used to be and the people we’ve become. In other words: life. I was absorbed by Hourglass and consoled by it, too. It’s a beautiful book by a writer of rare talent. Rilke reminds us that “There are multitudes of people, but there are many more faces, because each person has several of them.” And how do we, moment after elusive moment, marry then continue to change and grow yet still accommodate these multitudes in one another? This is just one of the piercingly compelling questions Dani Shapiro explores in her masterfully rendered new memoir. Written with erudition, hard-earned wisdom, and sensual grace, Hourglass is a fearless and lovely mosaic of those very fragments that make life worth living, the only one we get. I adore this book. Dani Shapiro’s prose is elegant and crystal clear, the perfect vehicle for her fierce intelligence and curiosity about things that lurk just out of view. Hourglass is such a lovely book. Poignant… Timeless… Brutal honesty is the bread and butter of the marriage memoir, yet Shapiro still manages to make her husband sound quirky and tenacious in the manner of the best romantic comedy leads. And her prose has a way of making even mundane disappointments feel portentous and universal…by the end of her short book, we want to know what will happen next. In this touching and intimate memoir… Shapiro beautifully weaves together her own moving language and a commonplace book’s worth of perfect quotes from others. To write openly about an enduring intimate relationship requires courage and tact… In this compelling account of her 18-year marriage, Shapiro carefully exposes the vulnerabilities that have subtly begun to surface within the relationship…The narrative demonstrates Shapiro’s finely tuned, poetic skills as a writer… A sharply observed and frequently moving memoir of marriage. These memories form a reality that is as diaphanous, fragile and as surprisingly resilient as a spider web. Hourglass is not only a profound and moving reflection on Shapiro’s marriage, but on all marriages. [Shapiro] has never written anything as raw, dark, or brave as Hourglass… a penetrating meditation… Hourglass is a stalwart witness to the erosions of time’s tides that, in being stalwart, it also wishes to stand against. A meditation that’s intimate, wide-ranging, funny and smart. 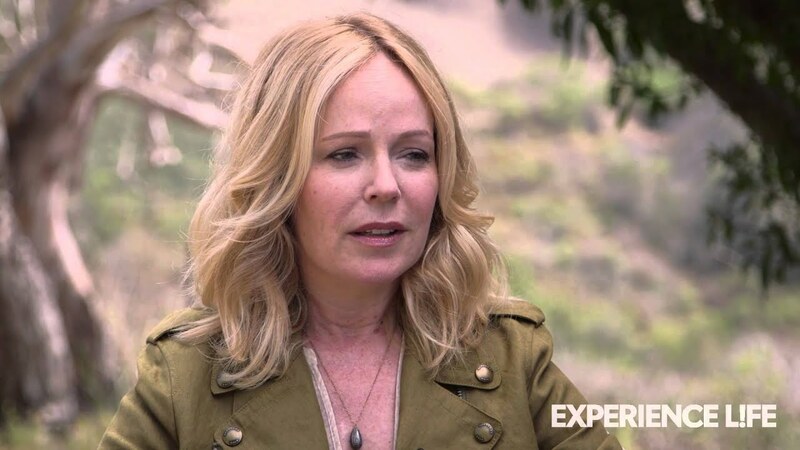 Dani Shapiro presents a sharp look at the realities of marriage. She does so in delicate strokes, never seeming self-conscious. With a combination of engaged storytelling and what remains carefully unsaid, Shapiro creates an abstract intimacy that allows the reader into her experience… It is the very book that should be given to a young couple at the beginning of their relationship. That delicate, ferocious act of unsweeping ourselves from the river of time and unplundering its instants is what Dani Shapiro explores with uncommon elegance in Hourglass— at once a memoir and a quiet manifesto for how, despite the cavalcade of losses and the exponential narrowing of possibility marking the passage of the years, it remains possible to have an expansive and creatively invigorating existence. In Shapiro’s virtuosic hands, time compresses and expands — an accordion playing the sorrowful yet redemptive melody that is life. 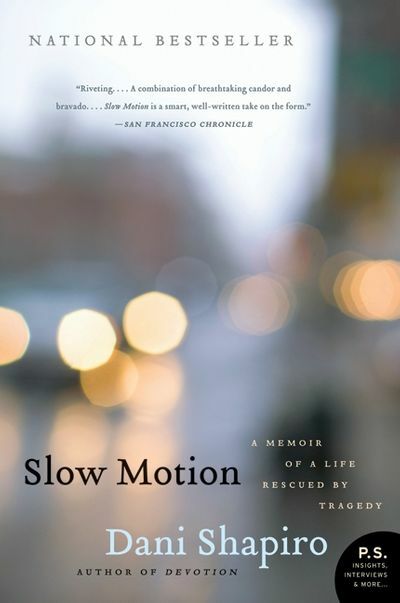 Shapiro’s honesty and devotion to her craft are impossible to detangle from her love of family….This potent memoir is a graceful meditation on the fragile balance of time, love, and loss. It’s an excellent entry point for Shapiro’s poignant and personal oeuvre. So start with this latest, and take it from there. Spellbinding . . . provocative, hypnotic . . . spot-on authentic. A cool depiction of a mother and daughter’s fraught and fiery relationship. Enthralling, fast-paced and a great read. Black & White presents knotty, compelling issues that Shapiro examines intelligently. Shapiro’s central characters are expertly rendered: both the damaged Clara, whose childhood trust in and love for her mother was abused, and Ruth, whose love for her daughter and her art were so inextricably linked that they became interchangeable. Uncompromising storytelling. . . . The ideas Shapiro grapples with resonate, and she raises trenchant and enduring questions that resist easy answers. Funny and tragic. . . . Perfectly displays Shapiro’s commanding craftsmanship…Shapiro does something rather thrilling with her story: she gets it just right. A poised, absorbing book. . . . Shapiro is a gifted writer, and Family History is a bona fide page turner. One of those books most readers will finish in one sitting . . . because it is so intense you can’t take a break. In gripping, moving prose, Shapiro reminds us of any family’s essential fragility, but also of the tenacious strength of love. Shapiro writes wonderfully. . . . Her portrayal of a mother and wife struggling to accept the limits of her love and custody will resonate with anyone who has wished they could protect someone, and failed. Real heart-in-your-throat scariness . . . the characters are so real and the situations so emotional that they leave the reader almost dizzy. Shapiro is an abundantly emotional writer with a deep understanding of life’s banal blessings. Shapiro’s small observations of motherhood are keen and astute; they demand empathy. . . . Realistic and heartbreaking. A brutal firecracker of a novel that chronicles the dissolution of a cinematically perfect New England Family. Shapiro has both a best-selling writer’s instinct for plot and pacing and a fine literary sensibility. . . . A powerful, penetrating illumination of the hidden agendas and consequences of family relationships. A gripping, contemporary story of guilt, love and redemption. Keeps us flipping pages late into the night. Through seamless writing and a good plot, Shapiro manages to impart to us Rachel’s frenetic desire to understand the past. Shapiro displays a sharp eye for the tiny epiphanies of everyday life, the quiet contentments we all have taken for granted. Dani Shapiro has the gift. That a book as harrowing as Family History can be such a page-turner is testimony to the primal power of storytelling and the saving grace of art. Absorbing . . . elegantly written, wry and unsettling. From the first page to the last, Family History is virtually impossible to put down: a beautifully structured, tightly woven exploration of the mysteries of adolescent pain, and the brutal efficiency with which a crisis can engulf a family and transform it into something unrecognizable. Start reading Dani Shapiro’s Family History and you’ll be wishing you didn’t have to put it down for anything. Let the kids wait for their ride home from school; let the phone ring; cancel the doctor’s appointment you waited six weeks for. This writer has a story to tell. Dani Shapiro’s new novel strikes at the heart of every mother who has ever worried that she has failed her child . . . readers will fly through this book. A contemporary domestic drama . . . a quick powerful read. Book covers often tout that readers won’t be able to put it down. In the case of Dani Shapiro’s compelling Family History, no one would accuse the publisher of false advertising. Shapiro’s suspenseful novel movingly explores the fragility of family life . . . the overall effect is to create a web that lures readers in, curious to find out who is guilty of what and whether the ending will be happy. Family History isn’t a book you have to work to get into. Shapiro hooks you on page one. Spare, compelling, and heartbreakingly authentic . . . Shapiro has fashioned a deeply moving, beautifully crafted story. Once begun it is impossible to put down.